In this issue, we stick with the theme stated in my previous articles and continue to explore the evolving role of technology in emergency medicine (EM) education and training. This time, I have the pleasure of interviewing one of the greatest educators of our time, Dr. Amal Mattu, Vice-Chair of the University of Maryland Department of Emergency Medicine. Dr. Mattu is a seasoned clinician with a true passion for EM and is known internationally as one of the premier speakers in our field. He is a well-respected expert in emergency cardiology and electrocardiography and a dedicated teacher who strives to make a difference by delivering quality education about high-risk topics. This is a new column in Common Sense where Dr. Leana S. Wen, AAEM/RSA president, interviews leaders in emergency medicine about their experiences, perspectives, and insights. The fifth installment is a conversation with a leader in EM and AAEM: Dr. Michael Epter. 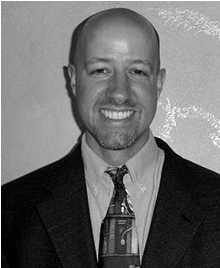 Dr. Epter is the Program Director and Vice-Chair of Education at the University of Nevada. He has held a number of leadership roles, including President of the Young Physicians Section, member of the AAEM board of directors, and Chair of the Education Committee. Dr. Epter is a recipient of AAEM/RSA’s Program Director of the Year award. LW: Tell me about your current position and what you do.